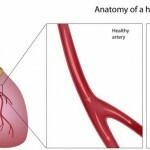 You are here: Home / Heart Disease / Coronary Artery Disease / Surviving a Heart Attack: the Big One! The widow maker heart attack, also known as “the big one”, is an acute occlusion of the left anterior descending (LAD) artery that can lead to severe heart muscle damage and/or death. If not treated in a timely matter, surviving a heart attack of this magnitude is very difficult. While visiting Austin, Texas, my wife and I came across the southwest version of the widow maker. 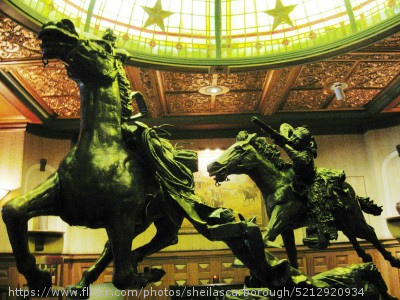 This version is a bronze statue displayed in the Driskill Hotel, by Barvo Walker depicting a runaway horse with a cowboy’s foot caught in the stirrup dragging him as it runs away. His partner’s only option is to shoot the runaway horse and save the cowboy or he will surely meet his demise. I do not know much about riding a horse, but I have treated several patients with widow maker heart attacks:” the big one”. I would like to share the experience of three patients that have survived a widow maker heart attack, but they all have different outcomes dependent upon lifestyle choices and treatment. During the acute phase of the heart attack, the artery is occluded by a thrombus or blood clot. The lack of blood supply to the heart muscle causes myocardial cell death and progressive loss of cardiac muscle function. Structural changes in the heart muscle leads to left ventricular remodeling with enlargement of the left ventricle and development of congestive heart failure. When treating a heart attack patient, our primary goal is to relieve myocardial ischemia by reopening the occluded artery as quickly as possible so that we can limit the infarct size. We also prescribe medications that reduce the cardiac work and prevent complications such as reocclusion of the artery and development of heart failure. 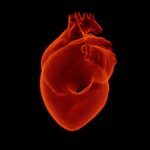 Also, I wanted to provide some insight into the future treatment of patients with myocardial infarction and include a patient that had undergone a “first-in-man” study of allogenic stem cell therapy. The first patient is in his late forties. He suffered his first widow maker heart attack at the age of 40. He presented at 3:00 am and he was rushed to the cath lab at BBH Princeton where arteriograms are performed. He had a widow maker heart attack, the”big one”and we were able to reopen his artery in 42 minutes. He was treated with a coronary stent but had suffered some heart damage. His left ventricular function was reduced at 30% (normal ejection fraction is 50-55%). The patient continued to smoke and he was non-compliant with his medications. He had hyperlipidemia and hypertension. He presented again in April 2017 with prolonged chest pain. He had been hurting for 13 hours prior to coming to the hospital. He was brought to the cath lab and found again to have a proximal occlusion of the LAD. Despite the fact that his artery was reopened within 60 minutes, he had waited so long that his heart substantiated significant amount of damage and his left ventricular function was further reduced this time at 20%. With an EF of 20%, he is now at increased risk of heart failure and sudden cardiac death. He will likely need an implantable cardioverter defibrillator, or ICD. The second patient is a good friend and I have known him for over 25 years. He is an avid cyclist and has always taken care of himself. He does have a family history of heart disease and has hyperlipidemia. In July 2016 while riding his bike, he started experiencing some chest pain. He immediately sought medical attention and presented at BBH Brookwood Hospital where he was taken to the cath lab within an hour and a half of the onset of chest pain. He was found to have a widow maker heart attack, the “big one” with a proximal occlusion of the LAD and was treated with coronary stenting. Unfortunately, 2 hours later he was taken back to the cath lab because of ongoing chest pain. He was found to have an acute occlusion of his stent and he was treated with further balloon angioplasty and with another coronary stent. His artery had a lot of calcium and it is probable that the first stent closed because of malapposition or not complete expansion of the stent. In any case, an intra-aortic balloon pump was placed and he was kept in the ICU overnight. He was discharged 2 days later and his heart function in the hospital was measured at 30 to 35%. I saw him in the office two weeks later and he was recovering nicely. He was still exercising every day but at a very mild pace on his stationary bike. His echocardiogram performed at that time showed remarkable recovery with an ejection fraction estimated at 40-45 percent. I walked him on the treadmill and he was even able to run without having chest pain. 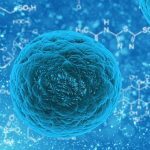 We discussed the possibility of a stem-cell protocol for patients that have suffered a myocardial infarction. It turns out, however, that he had already undergone stem-cell treatment a year and a half prior. He had been treated by an orthopedic surgeon for arthritis of his knee. 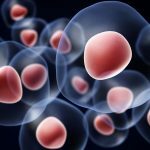 He underwent an autologous stem-cell treatment from stem cells that were taken out of his hip and injected into his knee, and for this reason, we could not enroll him in our protocol. We performed an MRI of his heart and found that he had only a small residual damage from his widow maker heart attack and it was astounding to me to find that exercise, physical conditioning, and possibly his own stem cells had mitigated significant damage to his heart and hastened his recovery. The impact of exercise training on cardiac remodeling has been the subject of extensive study. Work on two dimensional echocardiography demonstrated a high prevalence of left ventricular hypertrophy and dilatation. Endurance type exercise, such as cycling, running or swimming, involves sustained elevation in cardiac output with normal to low peripheral vascular resistance causing a volume challenge for the heart and cardiac remodeling. 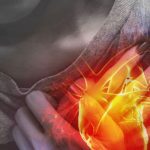 It is possible to think that an increase in myocardial reserve may have contributed to limit the damage caused by the heart attack and hastened recovery. The third patient is a 55-year-old nonsmoker with a history of diabetes and hyperlipidemia. In 2009 he suffered a widow maker heart attack or the “big one”, with an occlusion of his proximal LAD that was treated with a coronary stent within 78 minutes of presentation to BBH Princeton Hospital. Two days later he was brought back to the cath lab and treated with an intra-coronary infusion of stem-cells as part of a research protocol. This was a “first-in-man”, adventitial delivery of an allogenic bone marrow derived adherent stem cell (Multistem, Athersys Inc.) in patients, 3-5 days post large myocardial infarction and reduced left ventricular function (ejection fraction < 35%). He underwent 2 injections, each of 25 million stem-cells in the middle portion of the LAD. He recovered well in 2014 and had a thallium stress test performed showing that he had a small antero-apical scar with mild peri-infarction ischemia and ejection fraction of 48%. In July 2016 he presented to the hospital with a 30 minute episode of chest pain. He had symptoms that were similar to his previous myocardial infarction but he had no further pain upon arrival. His troponin enzymes were negative, indicating absence of new damage. Because he was on a blood thinner, coronary arteriogram was performed 2 days later, and despite the fact that he was pain-free, he was found to have a widow maker blockage with proximal occlusion of the LAD with collateral flow from the left circumflex. The patient again underwent percutaneous intervention and another stent was placed. He is currently doing well with his heart function with only minimally reduced ejection fraction at 45%. Again in this case, it is remarkable to see very minimal damage and great recovery post myocardial infarction. 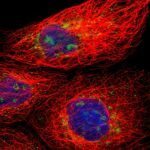 It is possible to think that stem-cell treatment of his widow maker heart attack may have hastened his recovery and equipped him with tools, such as collateral arteries formed by his own body, that may have prevented further damage. In the study that he was participating in 2009, it was reported that patients similar to him had an average of 13% increase in actual ejection fraction measurement and an average of 25% increase in left ventricular stroke volume. It has been postulated that the effects of Multistem are modulated by paracrine factors and exert some anti-inflammatory and angiogenic properties. Our patient had developed a collateral system that protected him from developing new injury on his second presentation, something he did not have in 2009. We are currently studying the effect of allogenic bone-marrow derived stem cells in the setting of Non-Stemi at BBH Princeton. This will be the focus of our next article at Myheart.net. 2 yrs. ago I had an angiogram that showed a 60% blockage in my lft. atrium. How signifcant does it have to be before it requires a procedure or poses a significant danger of having a heart attack?